Newswire is an online press release distribution platform that helps businesses increase online visibility and web presence. Nothing at all. Would try again. Looks to use in the future. "Very easy to use for PR submissions"
Their platform is easy to use to send out press released which was our main use. However, we noticed their Newsroom product which was something new to us. We never had a newsroom prior and saw the immediate benefits once we got our setup. It's an added cost but seems to be worth it as we now have one central location for all our company news, announcements, events, etc. Specifically for their newsroom product I'd like to see more customization options. We were able to edit header/footer but still would be great to get granular and add in our own css/html. Maybe it's possible but it wasn't readily seen. Aside from that their pr distribution and submission form was easy to use. Their platform is easy to use for submitting PRs and they have additional tools and products like the newsroom product that we found useful. I have not tried anything else like their media contact db product or monitoring but going to try it out. I was able to quickly and easily submit a PR that was urgent for that day. Their editorial team actually got back to me within minutes of me leaving a vm. So that was a big plus. Additionally their newsroom product was a bonus for us as we now have a showcase for all our company news. "Very easy to use and efficient." It is very quick and easy to make a publication, I could say that in less than 10 minutes approximately. It has an excellent quality-price ratio. I have not had problems with this software and could say with all propriety that this is a quality product, without any doubt. Personally I have given excellent results. I make many press releases to promote my company's website and I have had a lot of exposure, including news from Google. Very positive and good value for money. Newswire has helped me a lot in my business by simplifying our public relations strategies and has allowed us to meet all difficult deadlines with ease. Thanks to this software I have had better capacity to serve my clients and produce impressive results. "Professional service and quality work." They have a lot of options. I don't always have time to utilize everything I'm able to do on the website, but that's more me than anything on Newswire's part. I'd suggest just skimming through the Newswire website to see what all they offer. Before you decide to really go all in with them call one of the reps and have them explain exactly what they'll do for you. Make sure you know what you want and what sore of results you're after. Newswire's services takes a whole lot off my shoulders when it comes time for a news announcement for my company. The greatest benefit is not having to worry about these factors myself that would otherwise cost time and resources. I can focus on my product and how it's being received by the customer. The ease of use. Newswire is a very easy company with a great team to communicate with. Even if we aren't always clear on an item or feature - they are great at providing prompt feedback to ensure we're on the same page. It's a breath of fresh air working with their team - they just get us. Turnaround times aren't always as fast as we would like..but they have been much faster than other providers. There have been slight delays in getting things approved but again that seems normal for this kind of service. I recommend using the live chat option for any of your questions that need immediate assistance. They also seem to available via phone most of the time so that is very helpful. Right now, we are using Newswire in order to get some more publicity for our products and services. I've realized that without them, we would not be able to get out pr's in a timely fashion. "Newswire allows for mass outreach"
I enjoyed the service's ease of use and consistent updates on the status of the press release (views, which media outlets have picked it up, etc...). The pricing is also extremely reasonable (though it is a little complicated). I dislike the fact that many of the basic functionalities I needed for the service added additional cost. The price was still reasonable enough to not dissuade me, but I would prefer it if services such as choosing when the press release is put out were incorporated into the base price for the sake of simplicity. Initially a little bit confusing, but the company has great customer service that walks you through the process step by step, so definitely reach out to their team. We used Newswire to get a PR release out regarding a portfolio company's recent success. It helped increase brand recognition of our company and bring positive publicity. "Very Happy Customer in the Healthcare Industry"
We used to pay more for practically the same distribution before we found Newswire. Plus, they have that industry lists that help target the healthcare space for our news. So far, we are happy. Before making any purchases, we read the reviews to see how it compares to others. This was no different. We hoped to get the same service that others received and we approve. Our overall experience was god and their support team helped answer my questions when I needed it. I was able to manage the company's PR by myself. Before, I would have to run it up to my boss and then send it over to legal. It was an all day ordeal. Now, I can just share the draft to my team and get approvals all at once. Managing our PR is simple. plus that newsroom feature is very cool. "Delightful, affordable PR solution for SMBs"
Newswire has been instrumental in helping us stay within our PR budget. As small business, we needed help in getting our name out to our customers and the PRs have been great in generating new leads for our business. They were very helpful in explaining all of our PR options but we only needed the distribution for now. When we have more funds to expand with their others services, we will give it a go. National distribution was too expensive for us but the distribution we got was good. If you are a small business, definitely talk to someone on their team. They were helpful in explaining what was available and understood that we had certain expectations in mind with our PR. Our expectations have been exceeded. They did make the process easy and were able to answer all of my questions throughout my order. We feel good that we are able to manage our PR, along with our website content. Newswire makes it easy for us to publish our announcements to many outlets. "Helped Improve our Brand Awareness"
How I've been able to create brand awareness across different media outlets. Before finding Newswire I struggled trying to get my brand seen online and off. And we all know without brand exposure in this day and age, you're not likely to be found my customers. So Newswire has made it much easier for me to get my brand out there in the digital world. None so far but I do wish they continue to add more quality sites in their distribution list. Newswire is a great tool for pr & marketing. Used right you can definitely generate more brand awareness for your company. They have some other products too but I can't speak of them yet. But for pr submissions they seem to be the best option. They've helped me improve my branding problem! I've had to do other things unrelated to PR but without a doubt using their service helped me reach potential customers and spread my brand online. And best of all I was able to track results with their robust analytics. "Great Options for Expanding Reach"
The ability to extend reach after submitting my press release to targeted media outlets and even social media influencers. They don't guarantee that our press release would get picked up by an outlet or influencer but the ability to target such contacts and pitch them our story was a big time saver. Previously we had to use a few different tools to the same thing. No issues so far, although there could be a bit more video tutorials and or help guides as the site has many different product offerings it can get confusing. The ability to expand reach for your news story is a huge plus when using their site. not all PR sites offer this so this functionality definitely save me some time. Being able to submit a press release and within the same site be able to target media outlets and influencers is why I like using them. I've only done one campaign so far but I know I have saved a ton of time and will likely be using them for all of our PRs moving forward. What I liked was the one page PR form where I can quickly submit my press release content. Their team seems to be available around the clock from the few instances I called or chatted with them. So that is what I liked best about Newswire. Easy to use and good support. So far there's nothing I've seen that I didn't like. But they have some other modules that I haven't yet tried. If you're new to using press releases in your marketing then Newswire is like having your own PR firm. The rep I spoke with on the phone, I think Anna was her name, was very knowledgeable and really helped me with an angle on my story that made it newsworthy. She wasn't overly pushy trying to sell me upgrades but rather guided me through the process and made sure I had the best success with my first PR campaign. I was new to using press releases and using Newswire really helped me with the process. The dashboard was nicely laid out and easy to use. And the guidance on submitting my first pr was extremely valuable. We have been customers of Newswire for a while now. Originally, we thought we would "give it a try", and ended up becoming loyal customers. After what we called the testing period, our entire office decided they were the best agency we had trialed, and we have stuck with them ever since. Our agency Smart Crowdfunding works with people who are running crowdfunding campaigns in all areas of crowdfunding, so there are times we are sending out multiple press releases on behalf of our customers. Our customers are always very happy with the Newswire report we provide them, and the sites they are featured in. The upload system is very simple, and easy to use. The customer service at Newswire is also top-notch. They take good care of their customers, and always take care of any issues or problems right away. We are extremely happy with the service we have received. The only thing I would add is an auto-save feature. It is frustrating when a computer glitch occurs, and the entire upload has been lost. My experience with newswire was exceptional. I felt the platform put me in the eyes of a great audience as well as great customer support. First, for the price, absolutely nothing can beat it. Everything is right on the front page when you log in and it is incredibly easy to navigate. All the big hitting stories are compiled right there for you! "True partner who understands your business"
The proactive outreach to media, deep dive of understanding the business were in which is complicated and the way they bring in press opportunities. These guys have earned our business, and they get us top tier placements when we need it. If feels very turnkey from the perspective that they "get things done". So we're happy to have found them. At this moment, there is nothing I dislike about working with Newswire. I know sometimes it does get busy with all of us who work in the agency world, and there have been a few times where we'd like them to be more responsive but generally speaking that's not an issue. We are currently in the process of creating a press release campaign and it has been going very well. Newswire has helped in saving us valuable time throughout this entire campaign. "Easy to use and support was great!" The editorial team was helpful in revising my release. I've submitted a few press releases in the past and they were able to make suggestions to make it read better. The process was easy and I would use them again. The first press release was a little difficult to navigate, but the chat feature was very helpful. Every time I use Newswire it gets easier. The chat support was helpful to check up on the status of my order. They have other options that I might use in the future, but the results from the distribution that I get are already great! I don't have a lot of time in my day to manage the publicity for my company but Newswire makes it easy. Unlike other services, it was pretty quick to get set up and I was able to submit the same day. I like the ease of planning press releases that this company does. Being able to have a custom web address for your newsroom is amazing The simplicity of the interface is super easy. I don't like how much info that they need just to help. But other then that I can't think of anything. At Lizzy's sugar shack Newswire helps me to communicate to my employees about new products, community events and just any business related items that I want my company to know about. Making my company community knowledgeable so we can get out there and share what we do. "Published to many places as promised!" I'm totally new with media relations and I stumbled on Newswire from a Google search. I read as many reviews as possible and figured that it's worth a shot. My article was published in many places. I don't understand all of the options because this is my first time. However, it was easy. They also recommended that I make some edits to the headline which helped clarify our announcement. Speak to their team. I was able to choose the right distribution for my first pr with their help. The results were great and I will use them for my next release. Now I know how to submit a press release and get it published to Google. I feel confident in using Newswire again. First, for the price, absolutely nothing can beat it. Everything is right on the front page when you log in and it is incredibly easy to navigate. I would really like it if you could compile a list of news and stories and export it straight from the website to an excel document or something along those lines. Simplicity and followup on activating our press release was done within 20 minutes from start to finish - and therefore we knew that it would be a solution for future use again and again. "We recomend Newswire to all of our clients! Great service and great results! " Newswire is easy to use, it makes sense and they have been extremely helpful. I really like that on top of my PR distribution I can send an email to additional media sources. Its great that we can select our local channels and push a little outside of our target areas or way outside if we like. Jon has been especially helpful in walking us through the different aspects of Newswire. Honestly, I have not found anything I dislike about Newswire yet. We have done about 7 Press Releases through them and so far everything has been great! I think they do a great job of staying on top of the competition, they utilize the right technology and have great support. Make sure to work with the Newswire team so they can outline all of the features they offer. We definitely learned a lot about their system quickly by working with Jon. We are helping our clients to be recognized in their local and national markets, We are increasing SEO rankings and we are building relationships with the best media outlets for our clients. If you struggle with formatting press releases, Newswire is quite easy to navigate. Their customer service and sales are top notch. I've never had any challenges with communicating my needs with either. Newswire has an effective way to spread the news in a short amount of time. Distribution is quite fast. Although, our first PR was far more successful than our last two. I think it may be a timing factor, and not so much on content. We've hit top news feeds for major networks more often than not. And those agencies have contacted us for follow up, which was unheard of with other products we used for Press Releases. Overall, you can't beat the price. And if you should encounter challenges the sales staff is stellar and prompt. In today's market it's difficult to find humans that still want to be human and talk to you personally. This company goes above that. I highly recommend Newswire whenever possible. Features are great, you can upload pics, videos, links, etc. "Great Support, Easy to Use, Great Reach"
The customer service and ease of use of their platform is fantastic. It was very easy to use, their pricing was very easy to understand, and they were very helpful in making sure that as a company we had the right help we needed. When I first used them I called us to get further details and insight into how their platform works. They took the time to walk through all of their pricing, discussed what we were trying to accomplish and then gave us recommendations on what level we should pay for. I also really liked the fact that they have an entire team of editors that are dedicated to proofreading and double-checking content. This is a great bonus that they have because it ensures that another impartial set of eyes have looked over whatever document is being deployed to ensure that it is the best quality that it can be. There is not much I have discovered with Newswire that I dislike. Their pricing is very clear and easy to understand. They quickly got into contact with me when I expressed to them that I needed help with some of their platform, and they immediately and professionally addressed all of those concerns. The Newswire team is great. They seem to really know their stuff, and if someone is unable to answer a question, they get you in contact with someone who can be more thorough in answering. They are also a cheaper alternative to PR Newswire. I feel their service is better, and through Newswire you can get access to the channels PR Newswire has. Overall, I really liked their attitude and approach at the company and feel that I would recommend their services to anyone needing a way to quickly and easily distribute content. We use Newswire to send out press releases and relevant news-worthy content to a mass variety of channels. I feel that the different levels of access they provide are great and they take the time to explain these different levels. With their insight and walkthrough, I felt like I was really making the best choice for the company both financially and outreach-wise. Very simple to use. Even when we've had issues with errors, the Newswire team has gone above and beyond to help fix the problem. For example, we sent out a release with a critical error in the title - completely an oversight by us - and the Newswire team resent the wire and went downstream to try to repair the error. I always breath easy when sending out an announcement on Newswire, because I know it will be done right and the pick up will fit our client's needs. I feel like the team at Newswire is an extension of our team. Bravo! Overall, very user friendly. A couple of small nits to pick - I'd like to see a "full justify" option on the body of text. Also, would like to see more links allowed as part of the wire price. We're seeing more and more opportunities to link within the release to 4-5 social media platforms, as well as client or product sites, and link to the media contact's email address - 8 links goes very quickly. Pie in the sky - I'd like to see an image/logo built into the price of the wire that goes downstream beyond the PRNewswire pick up. We have been customers of Newswire for a while now. Originally, we thought we would "give it a try", and ended up becoming loyal customers. After what we called the testing period, our entire office decided they were the best agency we had trialed, and we have stuck with them ever since. Our agency Smart Crowdfunding works with people who are running crowdfunding campaigns in all areas of crowdfunding, so there are times we are sending out multiple press releases on behalf of our customers. Our customers are always very happy with the Newswire report we provide them, and the sites they are featured in. The upload system is very simple, and easy to use. The customer service at Newswire is also top-notch. They take good care of their customers, and always take care of any issues or problems right away. We are extremely happy with the service we have received. The only thing we would add is an auto-save feature. It is frustrating when a computer glitch occurs, and the entire upload has been lost. Would be nice to have option for multiple log-ins. We see there are other products that they offer but haven't gotten around to checking those out, those products might be beneficial to other companies. "A Fantastic Customer Experience with Newswire"
The interface was very easy to use. As a financial professional and radio show host, the scalability was also a great feature that I used often. The most impressive part of my experience with Newswire was their professional customer support team. They were always accessible and their expertise and advice help me increase the companies media footprint. My representative, Anthony Santiago, was invaluable in teaching me the way write the best Press Release and maximize our distribution. I recommend them for any individual or company looking to reach mass media markets. There can be more customization of the Press Release text. This solution addressed our need to get the Show and it's content picked up by content providers and news organizations. We have added literally hundreds of organizations to our list, who have picked up the Press Releases and promoted our radio show. I like Newswire because it is easy to use and easy to find. It is also the best software for press release, it simply makes work easier for me in my work area. Newswire can deliver optimum results within a short time. There is nothing to dislike about the software, having used it for more than 3 years it just makes my work easier. It has helped us to release information which is up to date and also with the use of Newswire we can now reach out to a more larger audience. Easy to find Easy to use. The look of the profile is great. Being able to add multiple business and press releases. It is great to have everything showing in one place. It can be hard to find where to update things on the left sidebar. "The best press release service available. By Far." I checked out multiple services for functionality, customer service, cost, ease of use, and results. Newswire outperformed the other services hands down in all categories. I am the media manager for a national nonprofit organization. We have used Newswire for two press releases with outstanding results. In the first instance, our release resulted in a story in The Washington Post. In the second, our release was picked up by Google News, and disseminated, landing on multiple sites of station affiliates for ABC, NBC, and CBS News. Dominick Martinez, our PR Strategist at Newswire is exceptionally responsive, smart and strategic, able to act as a valued partner. Nothing. Wish all business services could meet this standard for excellence. Save yourself time. Newswire easily beats its competition in user friendliness, cost, and efficacy of results. Their product is far superior to other offerings in the marketplace. Ask for Dominick. We needed to raise awareness of a national event we were sponsoring, and of an open letter signed by our coalition partners. In both instances, our Newswire release was exceptionally effective. "Professional support team and best pricing for the small business"
The fact I can speak to a REAL person and the responsiveness of the support team: Anthony listens to me and when possible, gets the right folks involved to implement my suggestions that helps ALL their clients. Great service!! My clients love the stat reports I share with them -- the best feature. Not a thing -- I've been a client for three years now and Newswire just keeps getting better and better. Newswire has great tutorials, knowledgeable staff who will talk with you by phone and guide you step-by-step if you're trying something new [like several times I needed to create a special database for a targeted email blast for some press releases I've done. If I have any questions, I mostly ask via email or if it's an emergency, I can call and get a response from Anthony or Patrick almost immediately. Whenever I've had ideas to improve some area, Anthony hears me out and then brings the idea before the appropriate department and many times my ideas have been implemented. It's wonderful -- and amazing -- to find a company that actually listens to and, if possible/practical/feasible, implement it. I can't say enough positive things about Newswire -- I had checked into other companies before deciding to go with them. I'm solving my clients visibility problems. The templates I've set up for each of my clients makes posting quick and easy to do, even last minute press releases. The benefits I've realized really are for my clients and their business -- more online exposure means more business for them ... and ultimately for me, due to their referrals to colleagues who also need to "get the word out". First off I need to give Stephen Howley major credit. The guys is A+. He made this experience seemless for me and actually motivated me to complete it. Great guy, and I can't say enough about how much he helped. I'm a firm believer that great employees make great companies and clearly this is the case for Newswire. They did an overall amazing job on their product and on my product. I'm very thankful for everything they have helped us with and I wish them the best of luck with their business. Again I would like to personally thank Stephen Howley for all the help and support he gave. I couldn't have asked for anything more. Great work and job well done. I disliked Nothing, Price was great, platform was great, and I would do this again if I ever have something to say. If you're interested in getting info out there and fast. This is the company to use. Press Release, and yes major benefit to doing this! At IMS we wanted to get our news out to the our State of CT, our country of the United States, and the world. That is what Newswire helped us with. We also wanted to get our name and brand out there. Thanks to Newswire we were about to. They did their job and I couldn't be happier. Trust me when I say this give them a chance. I have not experienced any cons while using Newswire. The program is self explanatory, however it may be difficult to use if you have no experience using PR software/programs. Anyone working within the media/ PR industry I HIGHLY recommend the use of Newswire. The program will benefit your company in multiple ways in a short amount of time. Measure success, evaluate ROI and identify opportunities to improve your campaigns with tools and reports that track earned media, influencer engagement and other metrics. "Newswire has custom solutions for your distribution needs." Newswire gave me the ability to be in control of our marketing efforts ALL the while allowing me to distribute content for my client to the media. They love the exposure! None as of yet, so far so good. Very happy with level of service received. Be sure to know exactly what type of distribution you want because the custom solutins while they are great can add up. As an agency, everything we do is time sensitive so spending a lot of time in planning PR and distribution outlets can seriously impact our client's reach and consumption. Newswire helps in managing our portfolio of clients. "It is amazing to work with Newswire and specifically Amanda Bennett!" The whole process is seamless and essentially intuitive. But, if there are any questions I have Amanda has always been only an email or phone call away ready and willing to help! So far there hasn't been anything that I dislike. It is a great way to get out your press release and you more than receive the value for what you pay. I would definitely give Newswire at least a trial run and a strong consideration. It is one of the easiest, most seamless and valuable public relations tools any business can have/use today. The need for good press releases and easy distribution is essential in any business's strategic marketing plan. Newswire has eliminated my dependence upon a professional agency to write and distribute a press release, when I knew all along that I was more than capable of writing great press releases (since that's what I was essentially doing for the agency anyway). But, in the past, I had to pay them, because I still couldn't get them distributed. The Newswire name, itself, has a real value to it. Having been on the receiving end of the process (while working as a journalist in various news settings), I can honestly say there's a certain gravity to items released through Newswire. Considering the source is important and it always caught my eye. That said, as a user it is also rather simple to use. Knowing it will be seen provides a real value and incentive to create. I really don't have many things to say negatively about it. For what you pay into it, you get an extremely favorable ROI. Most definitely take it for a test drive! Find out what you can so you can get the bean counters to understand its value. Where do I begin? It continues to get our name out there in the public and in front of influencers. It is probably as good as it gets for a service like Newswire. "Amazing Company, Staff, and Results with Newswire!" Our rep, Amanda Bennett, is awesome! She responds quickly, presents information clearly, and truly works with you to present options that are best tailored for your company/organization! I was seeking help to market our press release for the Junior League of Philadelphia, Inc., Centennial Grant program. As a not-for-profit and membership/volunteer organization, we needed a lot of work for a small budget! Amanda walked me through the most strategic options for us. We also had a tight turn around and she made us a priority. I will definitely not only recommend Newswire, but will use their services for upcoming marketing needs. Really, nothing comes to mind! Looking forward to future times to work together! The Junior League of Philadelphia, Inc. is a not for profit volunteer organization. Normally to send a press release, volunteers would be searching for hours on end for updated contacts in the local media. Also, in the past, using local marketing firms, they have charged us thousands of dollars to create a media contact list and or send out a press release. Using Newswire we were able to send to local and national media outlets without spending a fortune. In addition, we loved how there were many contact categories to circulate to a wide-range audience. It is definitely a great place to get media attention for whatever your purpose is. Make sure to always include contacts and have a title that fully reflects what your article is about. More often than not media agencies will tend to skim for particular keywords. Similarly to GlobeNewswire, I like the fact that content can reach a large audience quickly, and it get's picked up by major search engines. It's a great PR tool overall and a great way to disseminate press releases. I don't really have any dislikes other than it's hard to differentiate this platform from the competition. I would like to see more online PR tools offered for free. It'd be nice if the company held webinars or online tutorials from time to time like LinkedIn. Other than that, perhaps they could adopt a tool in the future that could be adopted to disseminate news via social media platforms? We all know that the future of marketing lies in social media, so I think it'd be a good investment. "A decent distribution platform for science discoveries"
I like that it allows our stories to have increased national exposure and I like having internal analytics that we can combine with the other story analytics we track. I dislike that I thought it was a larger distribution source. We rarely hit higher than 2,000 reads internally on Newswire, and while that could increase if the story was picked up, it appears to be the case across the board of our university. I would see what sort of neeeds you have from a distribution standpoint and see if Eurkalert or other distribution outlets would provide similar or better distribution. It provides the benefit of increased distribution of PR. "Cheapest advertising media to get. Action"
The Rep Joe Shea spent the time to walk me thru the website, price the program he thought best fit my application reviewed and correct my shortfalls. To my surprise in the first day I got phone calls from two T V stations. Recorded an interview and both were on broadcast that evening. Between the press release and T V broadcasts my story was picked up on Facebook and it seemed like the website story was a virus. I am releasing story to create public awareness of a new 1,000,000 sq. Ft. Shopping complex. The public interest in the site was exactly what I needed to bring awareness to the local politicians offering their help to bring this tax benefit to their community. "Writing and Distribution in one place"
We like how we can opt for full press release service, writing and distribution all in one process. With the writing service we have the ability to speak with the writer to make sure they understand our product and announcements. Sometimes the writing team doesn't always get it in the first draft and takes a few back and forth. Take the option to speak with the writer to make sure they understand your product and news announcement. Being able to go to Newswire for writing and distribution helps to centralize our PR efforts. "Great PR Coverage and Excellent Customer Service!" 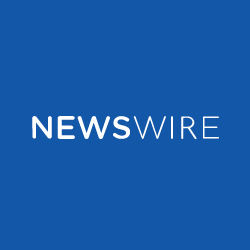 Newswire has a very easy-to-navigate platform that allows us with a variety of different options to get the best coverage on our press releases and press announcements for both ourselves and our clients. They also have amazing customer service and always respond within minutes if I have a question or concern. They are continuously updating the platform according to customer feedback and staying up-to-date with new PR features. There is not much to dislike! I would like to see some additional industries added to the list, but other than that, I have no complaints. We are definitely getting our clients much more coverage with Newswire. We are seeing a greater pickup with Newswire than even other big, well-known PR distribution platforms. "Newswire Is One Of The Best Press Release Services To Work With"
The distribution for certain industries are a little weak. They should make it a focus to expand or specialize in the industries. Delivered exactly what was promised. I will use them in the future for other press releases and articles that I need to get out! The need to get Press Coverage for our releases. I was really impressed with how they made the whole process so simple. Plus my account manager, Jon Pierce went out of his way, just to make sure I did everything right. In today's busy world you don't see that anymore. It was a breath of fresh air! I am a marketing professional. But I have always had admin's do this work. Nothing! It was an amazing experience. More help video's on what to do after the Press Release is released. Use them! They are great! We use Newswire for press release distribution and it is easy to use and we are able to target by industry. The reporting is also organized very good. This is a good way to generate more brand awareness for your company. Great PR & marketing tool. It’s great seeing the pick up of the press release each time we use Newswire. The customer service at Newswire has been exceptional. Stephen has been instrumental in helping us navigate through the process of delivering successful press releases and marketing campaigns. He has exceeded my expectations. So far my experiences at Newswire have all been positive. I do wish the press releases allowed for more images to be uploaded without any extra fees. I explored and tried many of the competition and Newswire certainly gives you the most bang for your buck. I definitely recommend Newswire to any business small and large. If you are new to press releases, Newswire.com will walk you through every step of the way. Problems we were trying to solve were gaining more exposure and distribution to media outlets and seeing ROI on sent press releases. The Newswire interface was very easy to navigate and we were able to see very clearly which media outlets viewed and shared. "Newswire is a Game-Changer! IMMEDIATE Impact to Reach and Professional Messaging!" I love that Newswire has left no stone unturned in creating a platform that offers industry-leading features and technology, but one that I’m able to easily and quickly navigate. Most importantly, the exceptionally warm and insightful hands-on service provided by Carla Carpentieri each and every time I’ve reached out to her means I’ll be a fan for life. She’s taken the time to understand our specific goals and objectives and works shoulder-to-shoulder with us to create customized initiatives that have resulted in unprecedented impact. There is absolutely nothing that I dislike. Press alone was not creating our desired exposure. Being able to craft and layer a customized, targeted email campaign (choosing contacts from Newswire's enormous data base) with a press release had an immediate, measurable jaw-dropping impact. Accessing Newswire's real-time campaign analytics means I'm no longer guessing or wondering if our messaging has hit its target. It's exciting to watch Newswire's impact grow exponentially in the days following a campaign --I'm watching our news being picked up and shared in our location target - in everything from local papers, industry blogs and more. Having the artistic freedom to craft our "Newsroom", another cool feature, is something else we're looking forward to engaging in. Newswire offers sky's-the-limit impact! Simple site interfare, and ease of use. I havve no real complaints about Newswire. i'm so new with PR, it's going to take time to learn of the feeatures that are available for my marketing efforts. I've spoke to a lot of other vendors and they were the only ones that really walked me through the entire process. Semms likes a lot of companies use them. I no longer have to spend a great deal of time doing press releases or similar announcements. "We've used Newswire to send press releases related to an upcoming fundraising event." Newswire distributed our press release to a large list of local media professionals that we wouldn't have had access to otherwise. Coming from Newswire, the press releases had a very legitimate and professional feel to them. The team at Newswire works quickly and efficiently to help us get the word out about our event. I also liked that the responses from the media came directly to me. I haven't had any negative experience with Newswire. We are seeking help in getting the word out about our event to get people involved in a variety of ways. After the first two press releases, we received a few news placements with local newspaper and had a news video crew on site to interview our event chairperson. We have heard from a few others that they are working on even more media coverage. I don't believe we would have had this interaction if we had sent the press releases out on our own, with our very limited list. I don't think Newswise is as searchable and user-friendly as its competitor, PR Newswire. Also, the "Filter Content" button isn't as intuitive as other press release-generating sites. It often gives press releases that are out of order, date-wise. While Newswise can be helpful in transmitting news, I think PR Newswire and ScienceDaily (my magazine is in the healthcare field) are better. It’s a small thing but I would love if the text in the program was darker or more bold. I feel like a lot of programs look like data entry programs and I just think with a media or public relation program, the in text and layout of the program could look a little more modern/techy. It saves us a lot of time to use this program. Posting to a variety of media outlets at the same time opposed to manually going to each site to post. "Newswire is a powerful, easy-to-use outlet for press release publication"
Newswire's interface is easy to use - it's easy to set up a press release and the email campaign that goes along with it. Their tracking reports are also very useful, and they come to your inbox automatically after you've published. To boot, their customer service has been excellent. Nothing in particular - the product is as it's advertised, and it's easy to use the service. As with any other product, you'll have to determine if it's right for you, and then which level of service you want. For our purposes, it's been great. Without having an established media list, we needed a way to "publish" our releases outside of our own blog. Newswire gives us hard, permanent links on various outlets that we can push around the web. The targeted email campaigns are also helping to spread the word. "Newswire is a great source for press releases"
My experience with Newswire goes back to 2014 when I was directing music tours I used newswire to send out press releases to several entertainment media outlets in particular markets. Newswire has nothing to dislike. Everytime I used newswire I gained several new media contacts and got our talent to the press and increased online presence. Developing new media contacts and growing internet presence. "Working with Newswire this morning was a complete pleasure"
I worked with Joe Shea who made the experience very pleasant and user friemdly -- as he was so helpful in getting me through all the steps that had to be taken to send out a press release. It is a great company and very fairly priced. I would always use them for all our media work. I highly recommend them. There was nothing I disliked -- Instead they were very helpful and kind as they helped me through the experience. * We monitor all Newswire reviews to prevent fraudulent reviews and keep review quality high. We do not post reviews by company employees or direct competitors. Validated reviews require the user to submit a screenshot of the product containing their user ID, in order to verify a user is an actual user of the product. Hi there! Are you looking to implement a solution like Newswire?